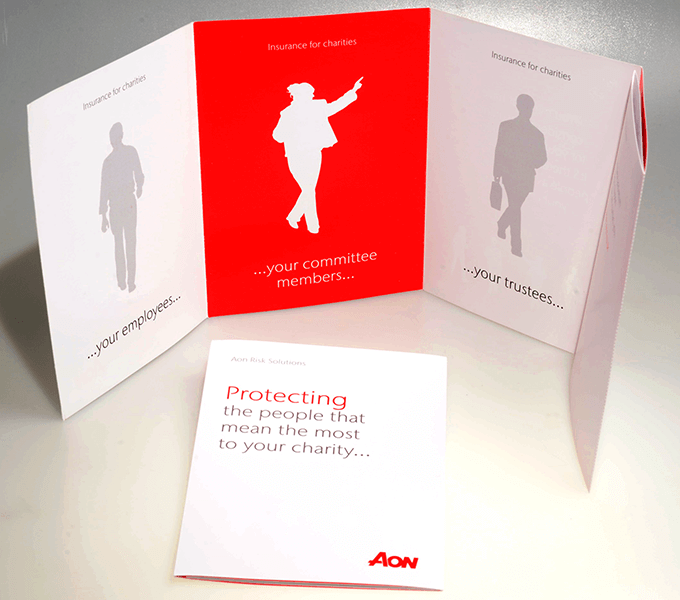 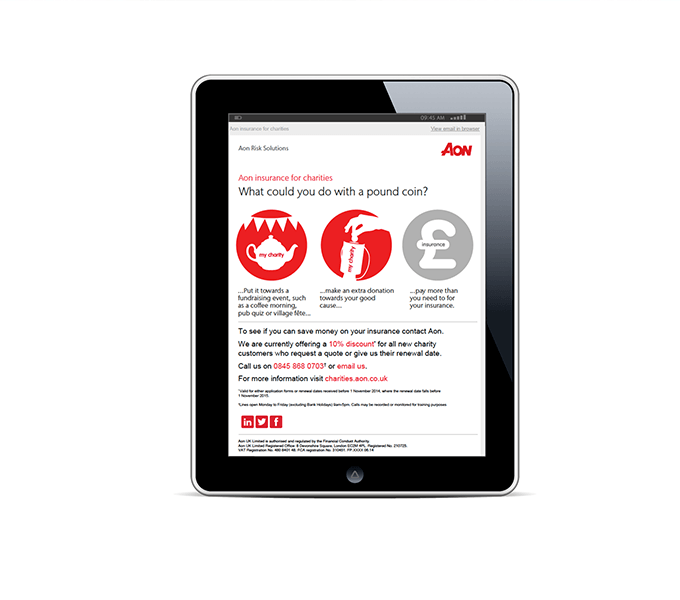 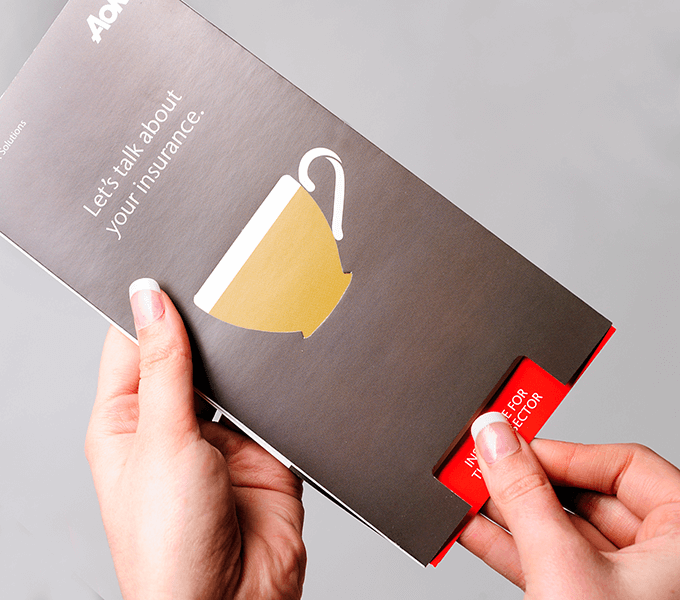 We designed a set of marketing materials for Aon Enterprise. 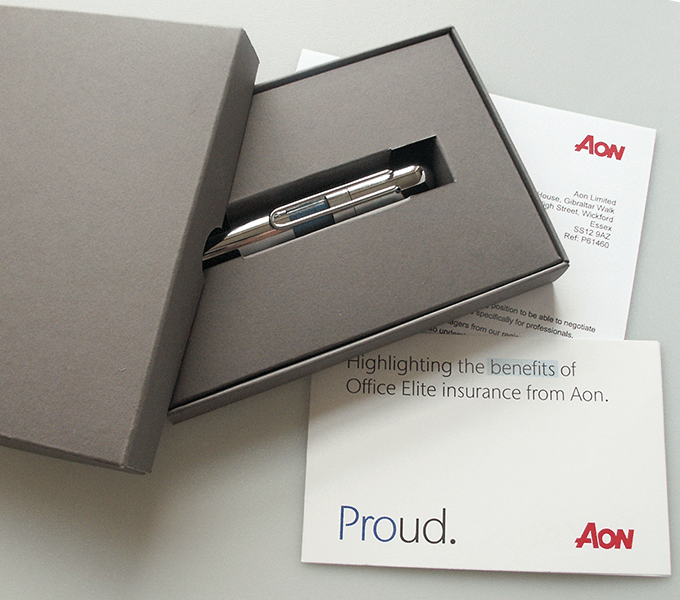 These were ‘door openers’ for Charity, Care Homes and Office Elite Insurance products intended to assist different business areas make contact with prospects. 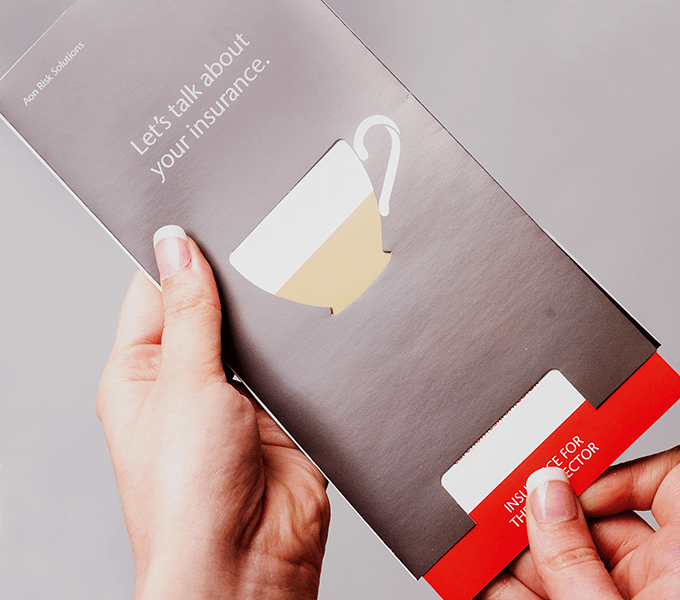 The concepts worked across tactile direct marketing pieces, involving paper engineering and construction, and were followed up with email campaigns using the same imagery. 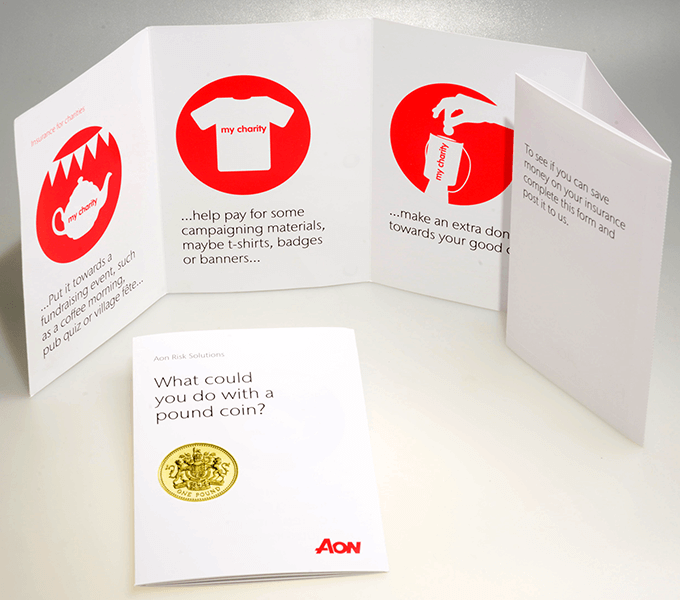 These memorable pieces led to successful phone calls and meetings which resulted in increased conversions.